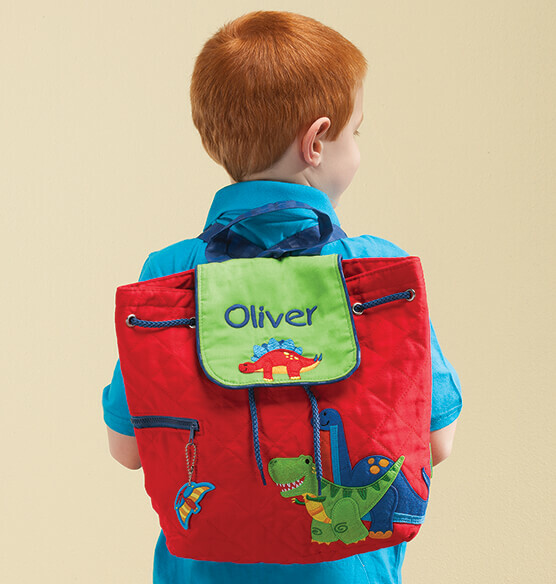 Send your dinosaur lover off to class with this adorable Personalized Stephen Joseph® Dinosaur Quilted Backpack ... and we'll personalize it so you'll never have to hunt for it in the Lost & Found! Stephen Joseph designs the ultimate dinosaur backpack for kids, but adds the quality features and easy-care durability parents love. The versatile design can even double as a diaper bag, then work its way through daycare, preschool, Kindergarten and fishing trips with Grandpa. 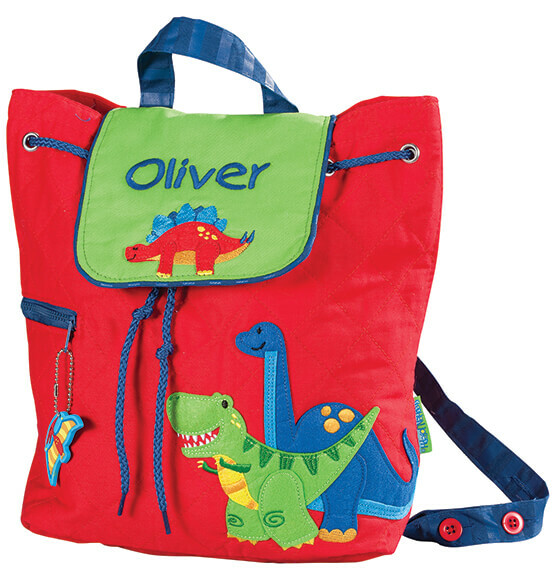 The colorful, personalized backpack features a fun embroidered dinosaur design and cool, coordinating zipper pull for extra style. It features a carrying strap and adjustable shoulder straps for easy toting. We'll personalize for your favorite little dinosaur hunter!